God loves you. I know this is a repeating theme on my blog, but it’s a repeating theme on God’s blog (His Holy Word.) It’s worth repeating. Don’t you think? But hearing it just isn’t enough. We have to believe it. Have you gotten it past your head into your heart yet? He loves us so much; He has chosen to forget our sin. He has “removed” our transgressions from us. We have been separated from our sin. Not by inches, feet or miles, but as far as the east is from the west. Repeat this often. When the devil tries to remind you of your sin, your past mistakes, or tries to put guilt upon you, tell him to shut up. 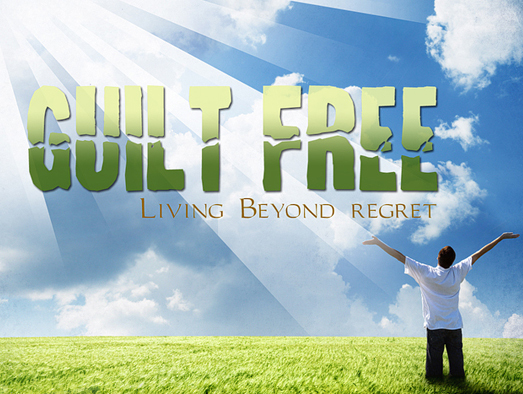 Remind him of the fact that God loves you and you are free from guilt.